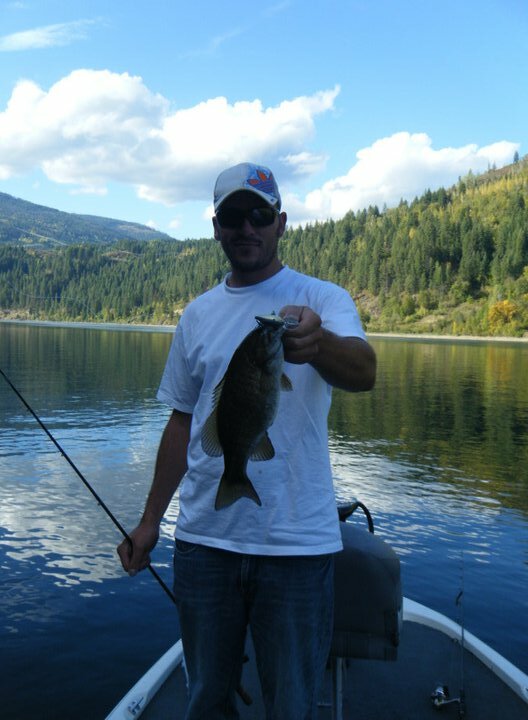 In the interest of bringing some tourism to some of the most underrated bass lakes in the world, here's a top ten list of the best bass lakes in Western Canada. If you haven't checked these spots out yet, put it on your to-do list for 2012! 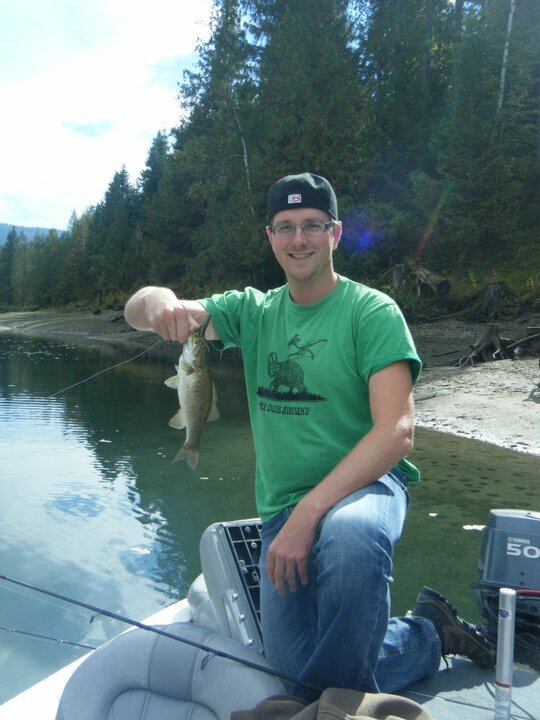 Counting down from #10 to #1, we have the top ten bass lakes of Western Canada. Coming in at #10 is the Seven Mile Reservoir near Trail, British Columbia. The Pend Oreille River flows out of massive Lake Pend Oreille in the Idaho panhandle. On its 80 mile journey between the lake and the Canadian border, it passes through two dams which create two seperate reservoirs, Box Canyon Reservoir and Boundary Reservoir. While Box Canyon is known for great fishing for northern pike and largemouth bass, both species are scarce in Boundary, which is much more rugged than the slough-filled Box Canyon Reservoir. 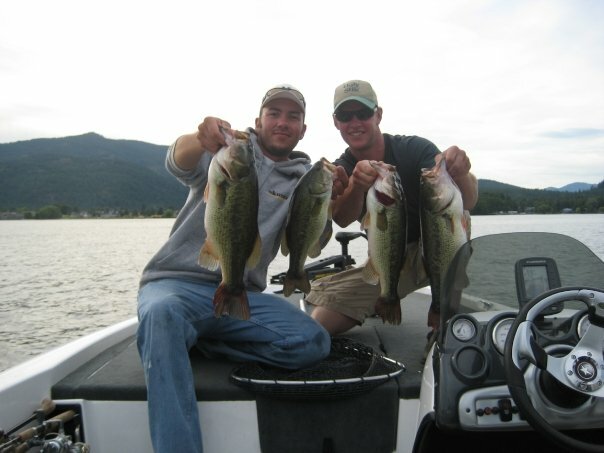 The American portion of the Pend Oreille is home to big largemouth (left) and pike (right). Both are either non-existent or extremely rare in the Canadian section. The Boundary Dam lies on the Canada-U.S. border and marks the start of the Canadian portion of the Pend Oreille River, notably a seven mile stretch known as the Seven Mile Reservoir which ends at the aptly-named Seven Mile Dam. However, these seven miles could just as easily be named "Smallmouth Heaven." The Seven Mile Reservoir is a perfect place to camp. Buckley campground is located just above the dam and is undoubtedly the best free campground I've ever seen. The boat launch is great, and it also has a nice beach and swim area. The campsites are also well-maintained and there is always staff on-hand if you need anything. It makes for a great staying spot for your Pend Oreille vacation. Once you've got your boat in the water, the options are really wide open. Smallmouth bass are spread throughout the entire system, and when the prime season is on (June to October) 50 fish days are common. While the size average isn't great (0.5 to 2 pounds) there are bigger fish in the system, and four to five pound bass are definitely possible on any day. The Seven Mile Reservoir is full of smallmouth. This one is about average sized. Like most reservoirs in the pacific northwest, there is a lot of wood cover from the flooded trees. Look for stump flats in 3 to 6 feet of water throughout the reservoir. When bass are on the feed, they move into these areas. You really can't go wrong anywhere in the reservoir, but I've had some of my best success around the mouth of the Salmo River hopping 4" Berkley Pro Tubes along the bottom. On top of the excellent smallmouth fishing, there are a variety of other species you might run into in Seven Mile Reservoir. Rainbow trout and bull trout are both common, with both species averaging in the 2-3 pound range but growing as large as 10 pounds. It's also a spot where random catches of lake trout (mackinaw), brown trout, walleye, and black crappie can happen as well. So you never really know what you'll run into. 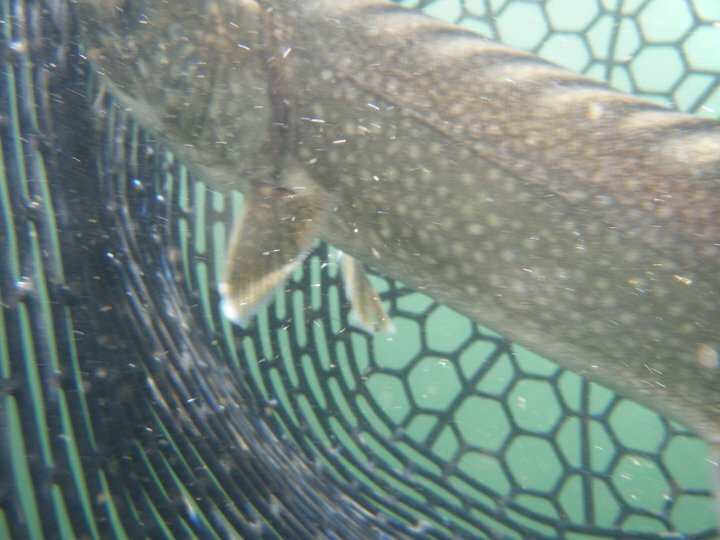 This lake trout (mackinaw) was an accidental catch out of the Seven Mile last year. You never know what you're going to catch out there. There is also a ton of wildlife in the area, as elk, black bear, and even cougars are consistently spotted in the area. I've heard the bugle of big bull elk on several occasions as I've been fishing here late in the season. There was a large wildfire here a few years ago which burnt much of the southern side of the reservoir and in turn attracts ungulates in to feed on the new growth. If you come to fish the Seven Mile Reservoir, make sure to bring all the smallmouth gear you need as there aren't many spots to buy it locally. There is both a Walmart and Canadian Tire in Trail, but both are more catered to the local trout and walleye fishermen than bassers, which goes to show how underrated this fishery is. Me with a chunky Seven Mile smallmouth. 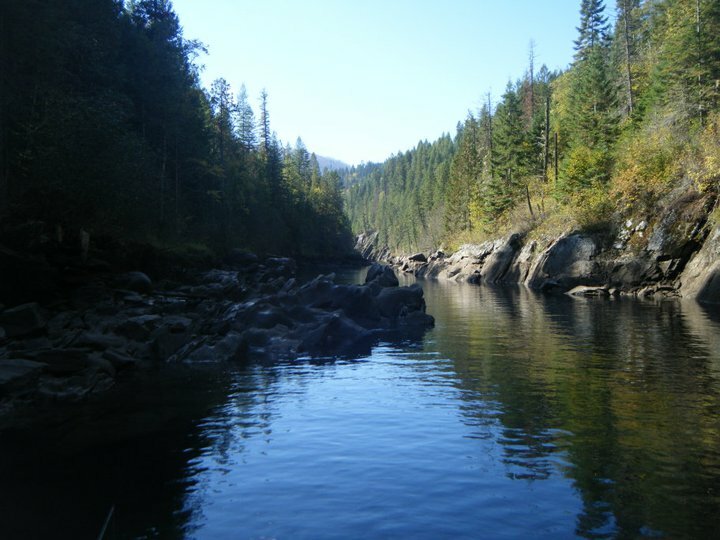 Finally, don't forget to bring a camera, as the Seven Mile portion of the Pend Oreille River is some of the most beautiful country I've ever fished. Take a tour up the Salmo River mouth to see some amazing canyons, or if you're feeling adventurous, make a run all the way up to the dam to see one of man's great creations. The view heading down the Salmo River mouth to the Seven Mile reservoir. A Warning: Water levels can change drastically in this reservoir, so be careful where you tie your boat up to, or it may end up floating off or even stuck on the shore. I nearly sunk my boat here when I tied off to a stump and the water rose four feet overnight. Thankfully, I made it in time to cut the rope and bail all the water out before it sank. Regulations: Anglers must release all bull trout. Also, there is a bait ban from June 15th to October 31st. The regulations state anglers can keep up to 8 bass, but I can see this fishery going downhill in a hurry if people start taking advantage of that. Practice CPR = Catch, Photo, Release!